Our decades long experience of helping entrepreneurs & executives launch their digital experiences on top of our own digital experiments and observations, has helped us accumulate a set of very useful real-world know-hows of what works and what doesn’t and what it takes to launch exciting digital experiences. 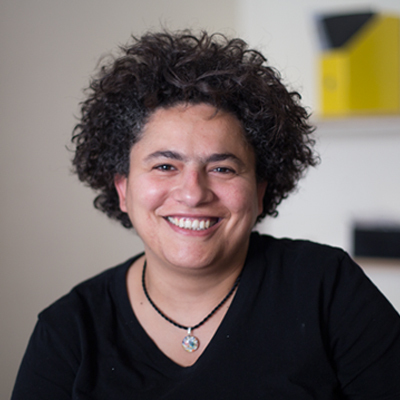 Razan Khatib, our co-founder leads our coaching and consulting practice. She loves working with both enterprenures & intrapreneurs to build delightful and profitable products! Creating value for your early users | The wheel of traction | Ideation: When to decide if an idea is worth your investment? The startup coaching sessions are designed to support you in dealing with your product & business challenges whether pre-launch or through your product-market-fit stage. We will work on your product strategy, discovery methods and experiements, features prioritization, roadmap, user on-boarding optimization, user activation and retention. Text Razan to get started! Whether you are thinking of creating a new digital experience for your customers or in need of enhancing an existing one, your team will benifit from a digital product strategy workshop where together we will re-think the problems or opportunities, customer segmetaion and suggested solutions then build them up again with agility and and a well-thought of roadmap of goals & initiatives to better invest and move forward. The workshop will take several sessions during which research, user interviews, data analysis and insights will be shared and discussed extensively before the full strategy is formed by the whole team. Get started! Yes, customers today and everywhere demand digital touch points to interact with your business beyond customer service via social media. The case for digital innovation is not privy only to large enterprises, actually its much harder for the big ones to do the transformation necessary for innovation while as an owner of a small business, your efforts to do the transformation can be cheaper and faster. The digital innovation strategy workshops will help in exploring the market, competition and customer research available to your industry to transform insights into opportunities for both sustainability and growth of your business. Get started! We help you build engaging, functional and robust sites, apps, products & services your customers will love to use. We help you transform your idea into a digital product. From concept to launch and initial traction.